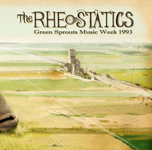 Rheostatics' albums are now available from Six Shooter Records' on-line record store. Visit Six Shooter Records to place your order for unjustly deprived friends and family today! 8. Who is that Man, and Why is he Laughing? A 40-minute piece honouring the Group of Seven's 75th Anniversary, commissioned by the National Gallery of Canada. 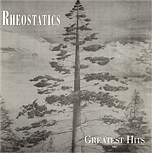 Recorded in 1995 at the Gas Station Studios by Don Kerr and the Rheostatics. 9. What's Going On Around Here? 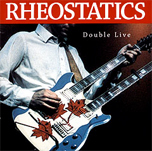 The good folks at Zunior, Canada's favourite digital music empire, have made the entire Rheos' back catalogue available for digital download through their service. That means 24/7/365 access to some of the finest music recorded in this vast country for a measly $8.88 per album, or just $17.76 for a double album. Each purchase includes digital art. Zunior's offerings includes some items available only in digital download format -- MP3 or lossless FLAC -- from Zunior. To see the entire digital catalogue, click here. Items available only from Zunior are listed below. The 1993 shows also featured a host of guest musicians including Chris Brown and Gene Hardy of The Bourbon Tabernacle Choir, Lewis Melville, Dave Allen and Kevin Hearn who at that time was still in The Look People. Bob Snider and The Inbreds were the opening acts throughout the week. 6. What's Going On Around Here? 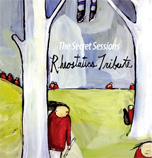 Dave Ullrich, formerly of The Inbreds and a Zunior founder, quietly gathered together musicians inspired and helped by the spirit and work of the Rheostatics to record a tribute album as personal thanks to the Rheos. 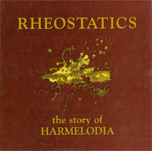 All sales proceeds will go to a charity designated by the Rheostatics. 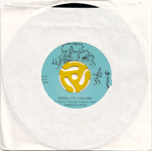 A collection of performances recorded by soundman Steve Clarkson during the 2004 Fall Nationals. 9. Who is that Man and Why is He Laughing? 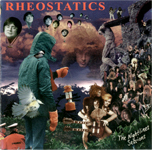 Paul Quarrington's classic book, which helped to inspire the Rheos' album of the same name, was made into a movie in 1994. 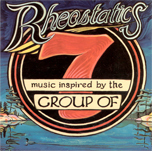 The Rheostics were tapped to create the music. 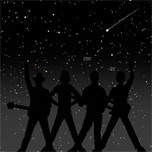 The result is this piece of Can-rock music and movie history. 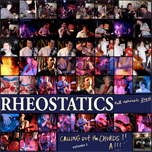 Original music performed and composed by Rheostatics. Score by George Blondheim. 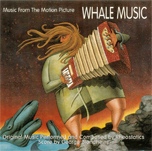 The Whale Music Concert is a double-album release and was recorded live in 1992 at Toronto’s Bathurst Street Theatre. 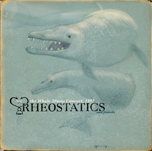 The show captures a very special period for the band -- it's first big Toronto performance following the release of the critically acclaimed Whale Music. 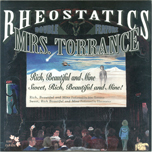 The performance included special guests such as Kevin Hearn, Andy Stochansky, Meryn Cadell and The Bird Sisters. 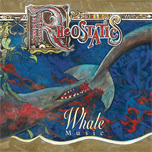 The album comes complete with high-quality album artwork by guitarist, Martin Tielli. 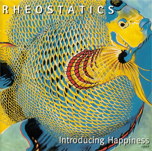 The debut 7" single from Rheostatics. An extremely rare vinyl release that features the original Bidini/Vesely/Crosby/Clark version of the band. 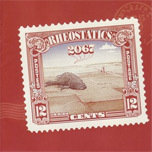 The tracks sound like a cross between Devo and Stompin Tom. This really is Canadian musical heritage.